Christian Guardino sings “Who’s Loving You,” gets Golden Buzzer from Howie on America’s Got Talent Season 12 on Tuesday, June 13, 2017. 16-year-old singer from Patchogue, NY belts out The Jackson 5’s “Who’s Lovin’ You” and earns a Golden Buzzer from Howie Mandel. “What just happened? You’re like a bright light that shone us all,” said Mel B. “I think you are brilliant. You have an amazing gift. Incredible,” said Heidi. “You were like a little mice that turned into a lion. You are one of my favorite. I just like, there’s something about you,” said Simon. “You are amazing,” said Howie. Christian Guardino is moving straight to the live show. 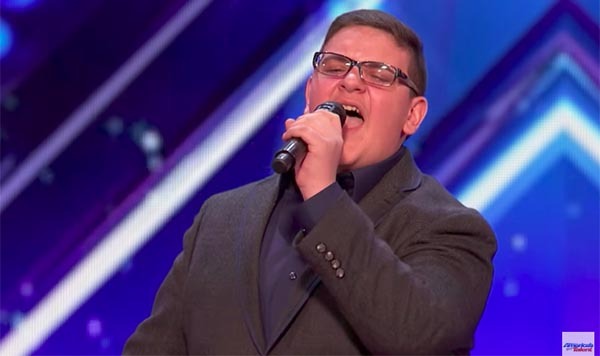 What can you say about Christian Guardino’s performance on AGT Season 12? Share your thoughts and views on the discussion box below.